Oli tweeted that parts of Bara and Parsa districts were struck by high-speed wind and lightning. "I am deeply saddened to learn this tragedy. I pay tribute to those killed in the incident and express deep condolences to the bereaved families," the prime minister said. He said the government has mobilized security personnel to carry out rescue operations in the storm-hit areas. Officials said the storm started striking the villages at around 7:45 p.m. local time and lasted for one hour. 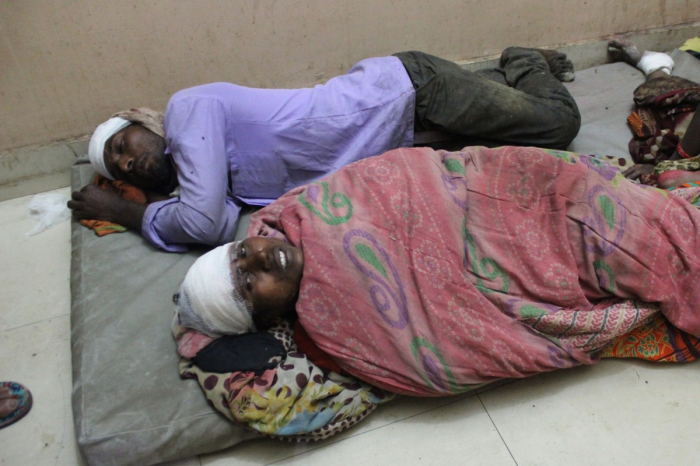 Secretary at the Ministry of Home Affairs Prem Kumar Rai told Xinhua that 23 people were found dead in Bara district and two in Parsa district. "At least 400 injured people have been hospitalized. The death toll is expected to rise," Rai said, adding that the government has launched rescue and relief operations. Media reported that hundreds of houses, public and private vehicles have been destroyed due to the devastating storm.